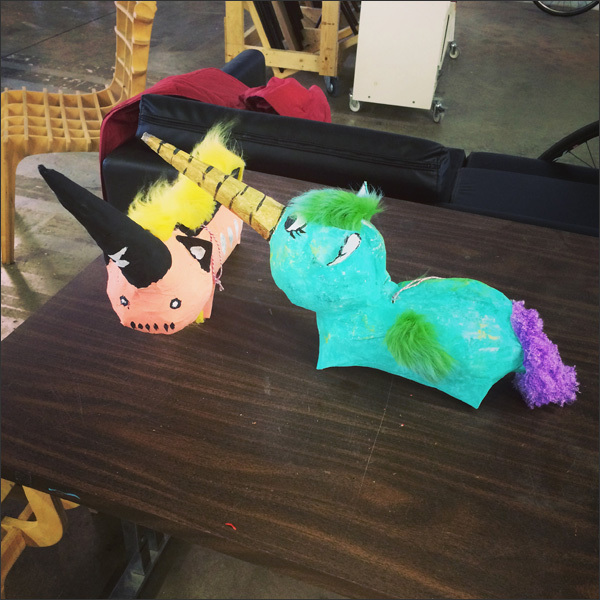 Nothing says quality time with your BFF like making piñatas together. It's true... 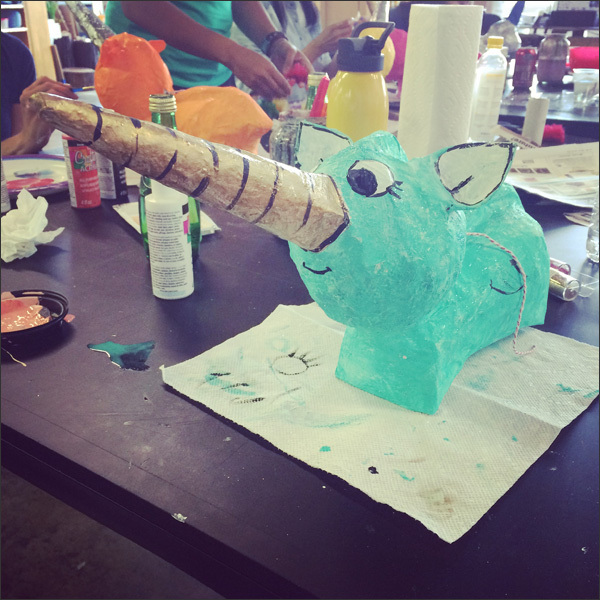 Especially magical beast piñatas! That's what I did this Saturday... 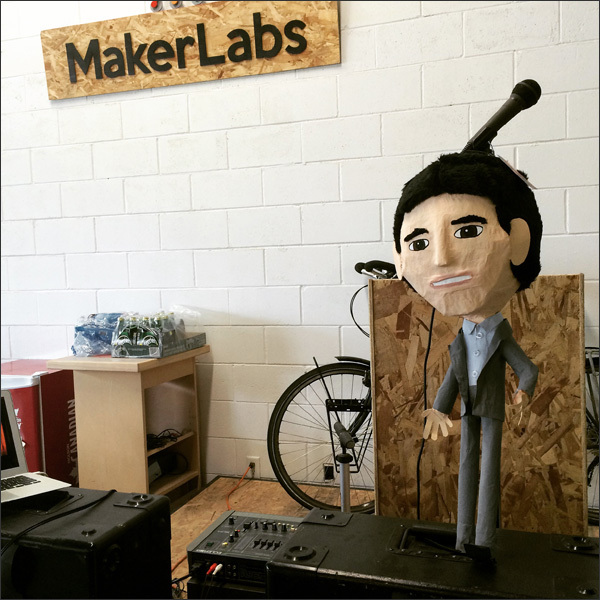 I spent 4 hours meeting new peeps, checking out the new MakerLabs space and crafting a kookie, crazy piñata. All for $30... Oh it also included food, goodies and drinks. Not too shabby! Thanks to Meaghan Kennedy (aka Your Piñata) and Interesting Vancouver. 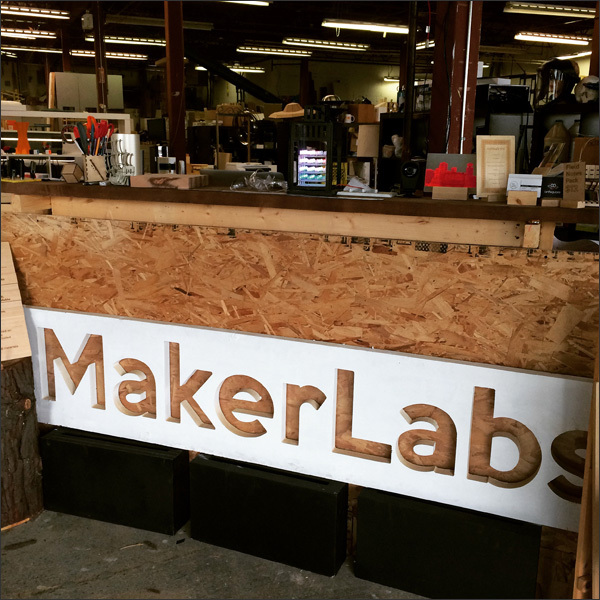 First we got to the new MakerLabs space at 780 East Cordova Street. 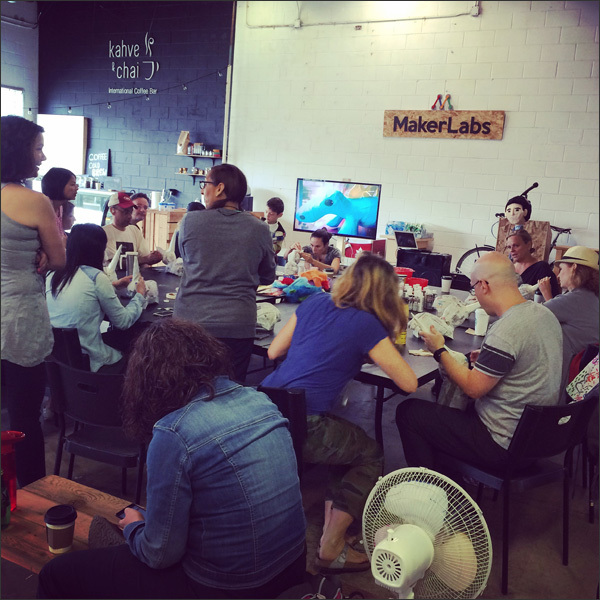 It's one big awesome space of maker goodness! 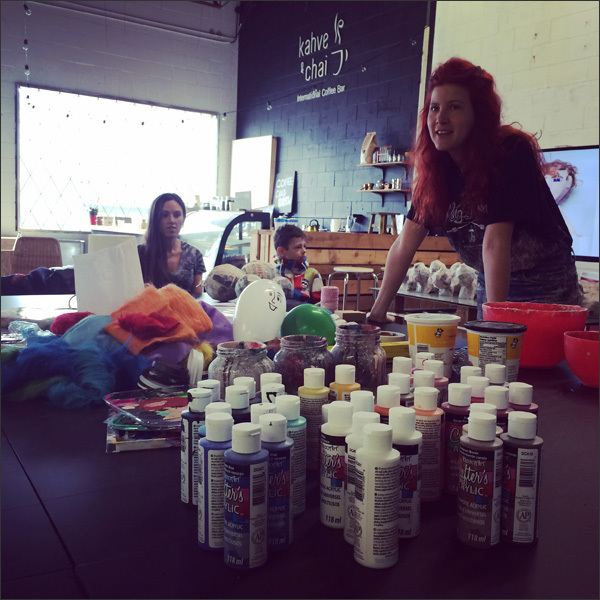 We grabbed some coffee, got a seat and got ready to create. Gatherings of the curious where attendees explore, discover and learn through hands-on demonstrations from past and current IV speakers about interesting hobbies, passions and obsessions. 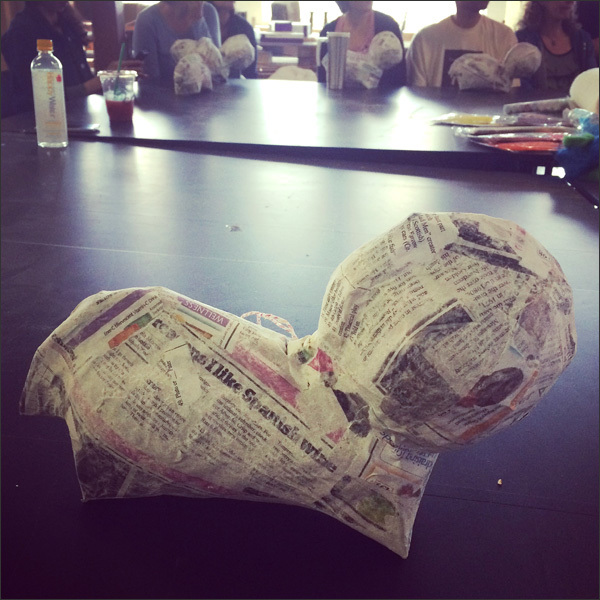 This is what we all started with... Two balloons plus a couple of layers of papier-mâché... We were good to go! Next was adding the horn. 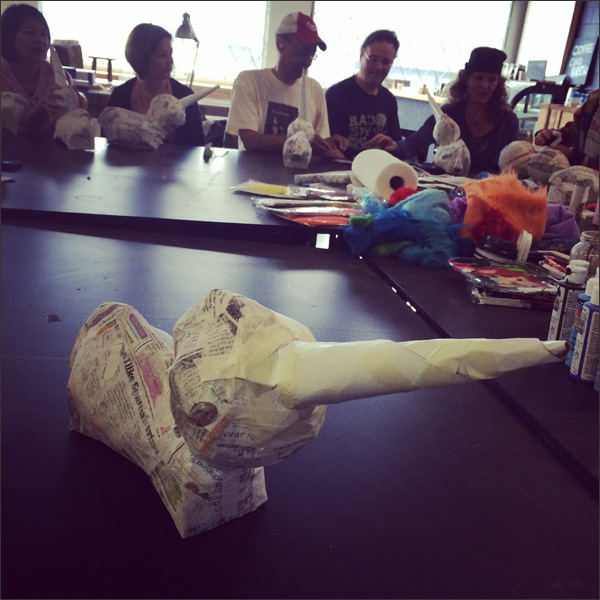 We were all tasked with creating a unicorn piñata. Or something else if the inspiration hit. We had a very industrious and fun bunch... There were about 16 participants - 15 adults and 1 youth. 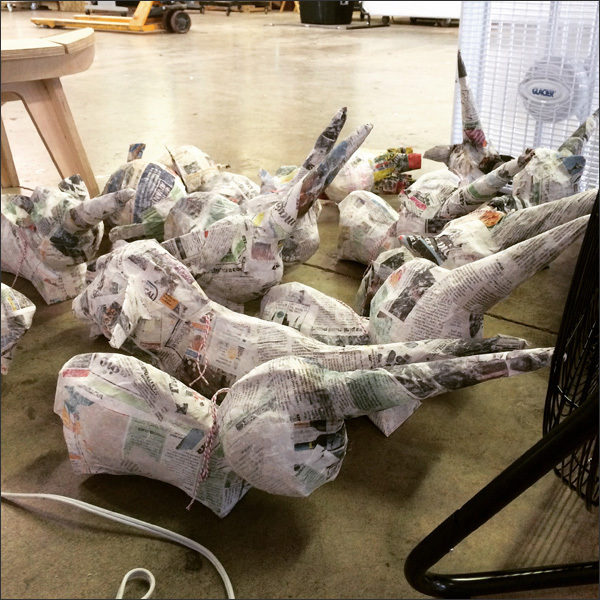 We added our horns and another layer of papier-mâché... Then left our unicorns to dry. 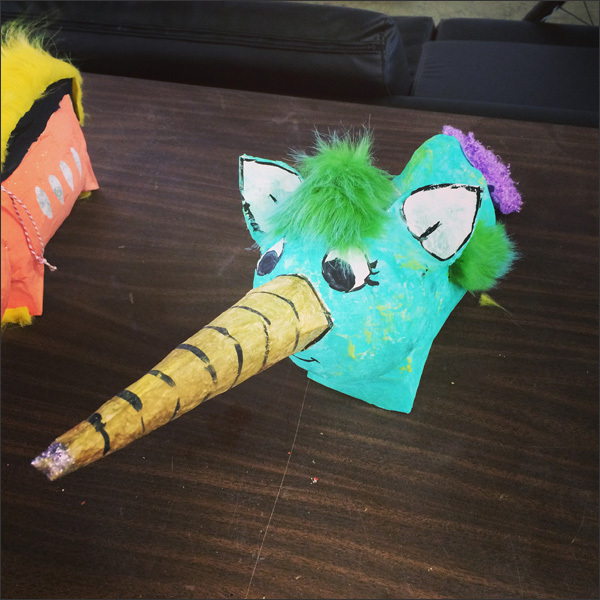 Now we added paint, fun fur, bling... After I painted the eyes I realized mine was not a unicorn. Turns out I was making a magical beast. I added ears, wings and hair... And of course a bit of glitter everywhere! 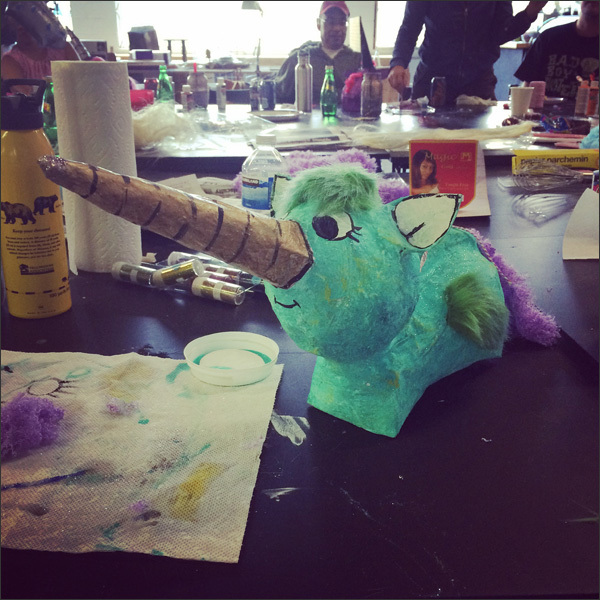 Adding the fun fur gave my magical beast some whimsy and personality. 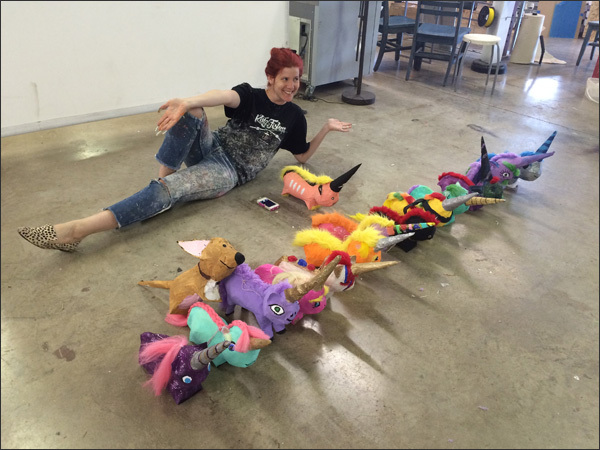 Here's Meaghan with our gang of piñatas. 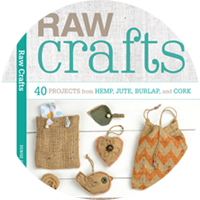 Quite the range of completed projects! And that was my Saturday. I've already gifted my magical beast to a friend of mine. He just needs to poke a hole then place candies inside and then seal the hole. And then my magical piñata will be no more. 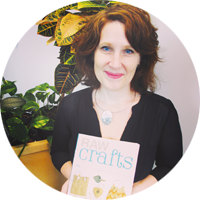 If you're into kewl workshops, crafting and learning from an awesome instructor, sign up for one of Meaghan's workshops... Details at www.yourpinata.com.